Geometric wallpaper prints are so popular right now in the interior and design community, with their vibrant colours and fascinating patterns creating a modern and sophisticated feel in any room. However, geometric wallpaper designs such as our Marble Block or Bamboo inspired print can be hard to style and seem overpowering if you don’t have an eye for interior design. 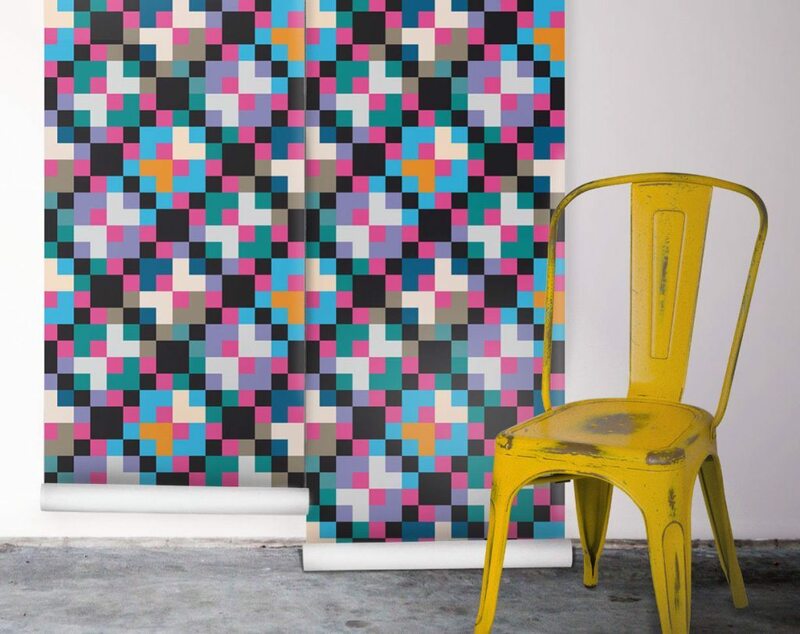 Here are a couple of helpful tips to consider when styling a geometric wallpaper print. If you want to go with some bright colours in your wallpaper design ala our Back Yello design by the fabulous eBoy, opt for more neutral and monochromatic shades for the furniture and decor items. Hues such as white, beige, grey and black are perfect to complement the loud geometric print and work in harmony with the feature print. On the contrary, if you are using a neutral geometric wallpaper such as the Kaleidoscope design in white, work some bright pops of colour into your room. You can choose one specific colour or a couple of key hues to really make the geometric print pop. Ensure that the colours you add to the room complement the geometric wallpaper, rather than compete with it. Only use a geometric wallpaper if you want it to be the feature piece of the room as that’s when it performs best. Whether you are using it for one wall or all four, make the geometric print the key feature of the room and keep all other furniture and decor simple, inspired by the minimalistic trend. Use colour in blocks and avoid adding another pattern to the space as it can make the room appear cluttered and small. Styling geometric prints requires an open mind and creative spirit, so don’t think about it too much and instead, have fun with the design. Mix and match if you’re feeling game and try different combinations. To ensure your geometric wallpaper has the desired effect, the installation process is key. That doesn’t mean it must be a professional job, but do take care when hanging the wallpaper to ensure it all matches up without gaps and tear. If you need help installing your wallpaper, check out our how-to video on our Youtube channel. Have you used a geometric wallpaper in your home? Don’t forget you can tag #miltonandking and #MKstylingtips on Instagram and Twitter if you want to show off one of our wallpapers, or share interior tips with our community.